Hidden between the Waterberg Mountains Bergsig Lodge, a 1000 hectare game farm, has a warm and cozy atmosphere where guests and travelers can enjoy the warmth of the Limpopo Bushveld in a truly African style and get the chance to escape from the busy city life and experience a piece of Africa. 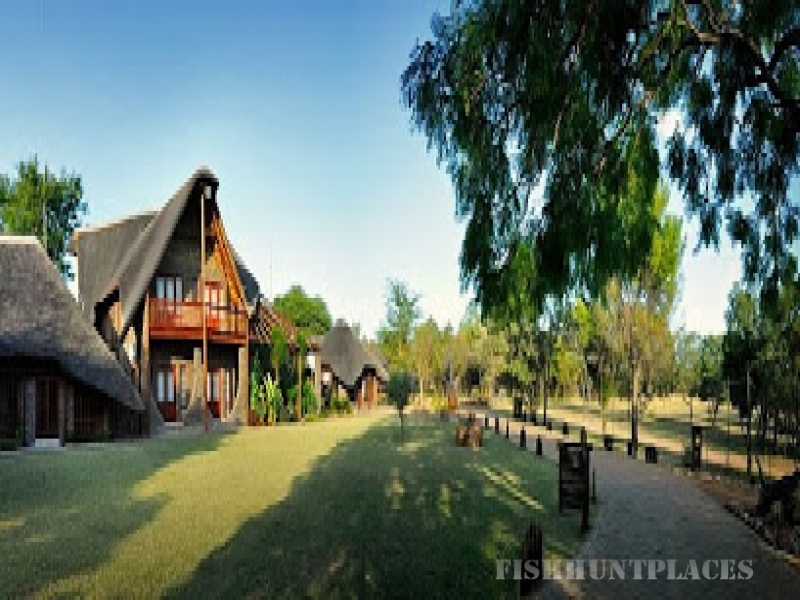 Experience the warm friendly atmosphere of the malaria free Limpopo Bushveld where summers are green and the bush is bursting with young life while the winters offer a stark contrast with dry bush and clear skies only 3 hours drive from central Gauteng. Bergsig Lodge is a 14 bed safari lodge which could accommodate up to 28 guests in a modern yet still truly African style complete with air conditioning and en suite bathrooms. Completely renovated to include all the luxuries required by today's traveler you will experience all the comforts of home in the heart of the Limpopo Bushveld. Ideally situated for a Bushveld break away, private conference or team building, our dedicated staff will make sure your experience is an adventure you never will forget. Game drives, walks, bird watching and mountain biking are but a few of our activities we offer. Daily activities could be combined to visit the Archeological Pots, Fishing in the Palala River and adventure trips for the kids. End the perfect African day with a Sundowner on top of the Waterberg mountains with breath taking views. Various activities are also available within an hour's drive to fill your day. Arrange for an early morning or late afternoon game drive. Some of the game that you might see on your drive is kudu, eland, waterbuck, impala and giraffe amongst others. The farm is geared for bow hunting. You can choose from four different hides stationed at two waterholes, since the lodge only allows bow hunting the animals are tame. Bergsig Lodge is well known as an ideal birding area. Within close proximity you can view some of the bird species through open plains, riverine areas, hills and mountains as well as typical Bushveld terrain. We are extremely popular as a starting or ending destination for bird watching in the bushveld through the Waterberg towards Nylvley Nature Reserve to complete an ideal bird watching experience. Bring your own fishing tackle and bait and spend a few therapeutic hours on the banks of the Palala river which is stocked with a variety of fish including catfish, bream, bass and yellow fish.